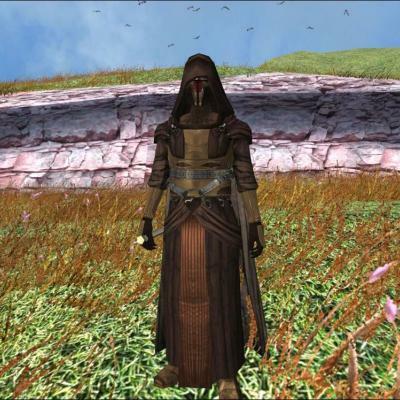 This mod takes the ever popular Darth Revan Robe and gives it a Jedi feel to it. 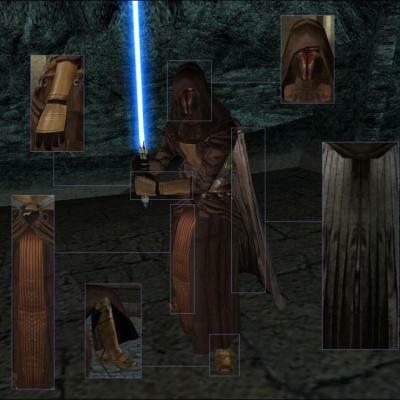 This version includes the robes as a seperate item so it can be used in conjunction with the original Darth Revan robes. 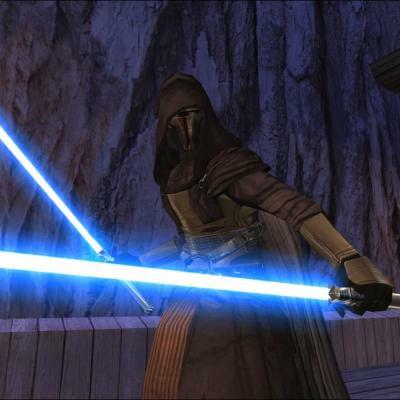 Also included are several items that can be used only by Revan. The robes and mask come with unique icons. All complete with TSL Patcher installation. All the items can be obtained in the game without the cheats. Simply run the TSL Patcher and follow the on-screen instructions. Immediately following the second Bastila-Malak confrontation scene (the scene where Bastila throws her lightsaber at Malak) look for a datapad near the sealed door. This datapad is essential to get the items. It talks about a secret compartment in the cargo hold on the Ebon Hawk. Escape the Leviathan and proceed through the conversation following as normal. After which you should find yourself in the cockpit. In order for the compartment to appear, you must speak to Carth about how he feels about you being Revan. It was not my first choice to have the mod work like this but sometimes you have to work with what you have. Following the conversation the compartment should appear. Proceed to the cargo hold and near the spice container. It should be on the floor to the left. It will be locked and it will stay that way unless you have the datapad that Bastila dropped. If you have it, the compartment will open and you will get the items. - During the installation, you may receive a warning saying 'Warning: Invalid column label "driveanimrun" encountered! Skipping entry...' I have no idea why this happens. If you get this you have to input the entry yourself. Simply open your modified appearance.2da file found in your Override folder using the KOTOR Tool, scroll down to the bottom of the list to the new entry, and input "3.96" in the driveanimrun column. If you find any more feel free to send me a Private Message over on LucasForums (username: ZimmMaster). 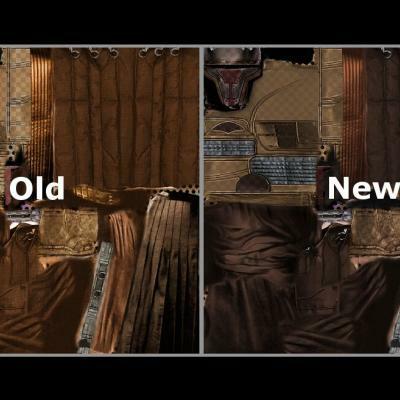 - Permission granted by Sithspecter to modify and use his Flowing Cape and Belt Fix in this mod. THIS MODIFICATION IS PROVIDED AS-IS AND IS NOT SUPPORTED BY BIOWARE OR LUCASARTS OR ANY LICENSERS/SPONSORS OF THE MENTIONED COMPANIES. USE OF THIS FILE IS AT YOUR OWN RISK AND THE ABOVE MENTIONED COMPANIES OR THE AUTHOR IS NOT RESPONSIBLE FOR ANY DAMAGE CAUSED TO YOUR COMPUTER FOR THE USAGE OF THIS FILE.